MicroGroup, part of TE Connectivity, has the capability of grit blasting surfaces to many desired surface finishes. The grit blasting process is used to roughen a surface for a variety of reasons, such as improving the appearance of a surface by imparting a uniform, matte finish. For parts requiring over molding or injection molding, all or sections of the part can be grit blasted to improve adhesion of the molded resin. Grit blasting can also be used for deburring, breaking sharp edges, and cleaning. MicroGroup grit blasting processes use a regulated stream of pressurized air mixed with abrasive media that travel at a high velocity through a hose nozzle that is fixed in position or held manually. Fixtures can hold the nozzle in a stationary position, or move rotationally to grit blast many parts simultaneously for larger production runs. 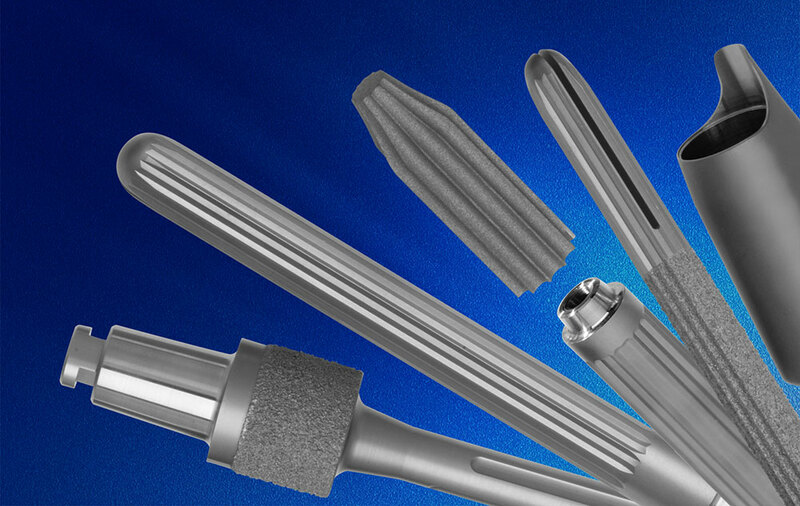 MicroGroup’s standard abrasive media include glass bead, aluminum oxide, and silicon carbide. However, many other media can be utilized depending on requirement or customer specification.